Unlike many commercial cider makers, we believe the best ciders are made from the juice, the whole juice and nothing but the juice, so that’s why our products contain no added water, artificial sweeteners, colours or flavourings. We think that this fact along with the use of unique Pembrokeshire apple varieties has led us to a string of national awards over the years. We don’t have an eyesore of a factory but a modest cyder barn in the beautiful Pembrokeshire countryside. 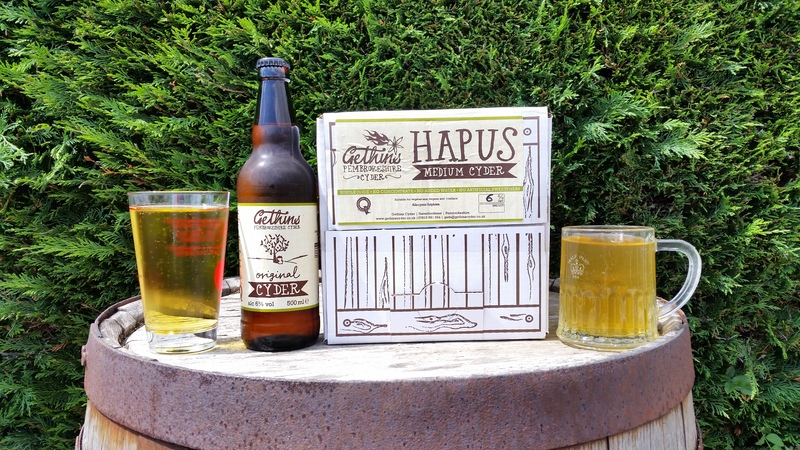 Every year’s apple crop is different so no two year’s cyder blends are exactly the same which means that some of our great tasting cyders will be limited edition!